When first entering the Niagara Pressure Washing business, we had some decisions to make. We spent by far the most time on one question. Do we offer an economy, quick, in & out pressure washing job (translation-a cheap job), or do we provide a more thorough cleaning? Niagara Power Washing made the correct decision by deciding to provide a top-notch job to our customers. All pressure washing is performed manually by hand with quality power equipment. 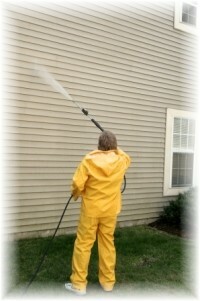 Our Niagara Siding Cleaning technicians are highly trained to do a very detailed cleaning of your siding. In fact, they cannot leave your home until you are 100% satisfied! We pride ourselves on quality. 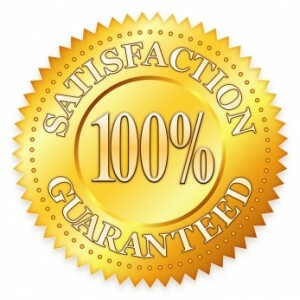 And all of our work is 100% satisfaction guaranteed. Any streaks, smears or smudges, shall be dealt with immediately and with vigor. If you’re looking for a simple, quick, zip-zap on to the next power washing job, Niagara Pressure Washing probably isn’t for you. But if you want a siding cleaning you’ll be happy with-one where you’ll tell your friends, family and neighbors-then please contact us. We stay booked up, so it’s best to call early. For a free estimate in writing or by telephone, please call us at 905-380-9835. Alternatively you can request a quote online as well. Thank you for your consideration.